CAPE ELIZABETH, Maine (August 4, 2018) – New Zealander Jake Robertson led wire to wire to grab the TD Beach to Beacon 10K men’s crown while Sandrafelis Chebet Tuei stayed in front as the pack dwindled around her to win the women’s title Saturday at the 21st running of the iconic American road race in Cape Elizabeth, Maine. Robertson (27:37), who lives and trains in Kenya, burst ahead in the first mile and never looked back to dominate a strong field. His 50-second margin of victory is the widest ever in the traditionally highly-competitive men’s race and his time tied for the third-fastest ever on the coastal Maine course. 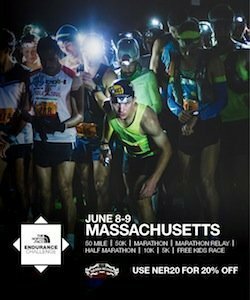 Kenyan Stephen Sambu (28:27) and Maine native Ben True (28:29) closed hard but were no match for the fleet-footed Kiwi. True, a crowd favorite who grew up in nearby North Yarmouth, won the American-only category. Chebet Tuei (31:21) skillfully shed the lead group pack of runners down to two entering Fort Williams. The 20-year-old then maintained a lead on Ababel Yeshaneh of Ethiopia (31:26). Two-time Olympian Molly Huddle (31:40) placed third and also claimed the American-only title. In the Maine Resident races, Michelle Lilienthal (36:16) of Portland won for the third time and Ryan Smith (30:50) of Farmington won his first title, both in convincing fashion. Also, in the Wheelchair Division, Katrina Gerhard, 21, of Ashburnham, Mass., recorded a 26:49 to set a course record, shaving more than a minute off a mark that had stood since 1999. Complete results are available at http://www.beach2beacon.org/about/results/results-2018/. The world-class athletes were among 6,526 runners from 19 countries, 43 states and more than 270 Maine cities and towns who finished the winding, rolling 6.2-mile coastal course while dealing with humid, hot conditions throughout the race. But the runners were motivated by the enthusiasm and cheers from thousands of spectators who lined the course and filled the bleachers as they reached the finish and the race’s Beacon – the Portland Head Light, commissioned by George Washington in 1787. The TD Beach to Beacon (www.beach2beacon.org) is one of America’s iconic 10K road races, known for attracting the world’s best runners but also for its top-notch organization, community support and the involvement of Olympic gold medalist Joan Benoit Samuelson, who grew up in Cape Elizabeth training along the same roads and continues to inspire runners both in Maine and globally. Charitable giving is an important component of the race. The 2018 race beneficiary is WinterKids, a nonprofit organization that helps children develop healthy lifelong habits through education and fun, outdoor winter activity. WinterKids (www.winterkids.org) received a $30,000 donation from the TD Charitable Foundation, the charitable giving arm of TD Bank, America’s Most Convenient Bank®, and is further benefitting from fundraising and publicity as well as more than $23,000 in donations directly from runners during registration. In addition to TD Bank, the title and lead prize money sponsor, other corporate partners who help make the TD Beach to Beacon possible are Nike, Hannaford, Poland Spring, MaineHealth, IDEXX, Northeast Delta Dental, L.L.Bean, NEWS CENTER Maine, Olympia Sports, ON Semiconductor and Dunkin’ Donuts. More than $90,000 in prize money was awarded on Saturday, with $10,000 to the winners in the men’s and women’s open races and payouts to the top 10 runners overall. Also included was a $23,000 purse for American men and women, split evenly among the top five American men and women with a $5,000 top prize. Almost from the opening horn, Jake Robertson, 28, left little doubt who would be collecting the top prize in the men’s race. After bursting to the lead and cruising ahead of course-record pace over the first four miles, his trailing competitors kept hoping for a glimmer of hope, a little falter. But most could barely see him up ahead as he maintained a dominant lead throughout. His 27:37 is the third fastest ever on the course, nine second shy of the course record set in 2003 by Gilbert Okari of Kenya. Robertson has been on a tear of late, so his performance was no surprise. He and his twin brother Zane moved as teenagers from New Zealand to Kenya to live and train to try to reach their distance running goals. The decision is starting to pay off. So far this year, Robertson is three-for-three on American soil and has also found time to set national records in the marathon and 10,000m. He proved too much for Ben True, 32, who was eyeing a second TD Beach to Beacon title after his emotional win in 2016, when he became the first American ever to win the race. True finished second last year in a sprint finish and third in 2014 and now has earned podium spots in each of his past four TD Beach to Beacons. He also won his third straight American-only title. Stephen Sambu, 30, moved up two places from a fourth-place finish in 2017. Kenyan-born U.S. Olympian Shadrack Kipchirchir, 29, finished a strong fourth (28:44), while a quartet of runners – Amdework Walelegn,19, of Ethiopia (29:12); Parker Stinson of the U.S. (29:14); Callum Hawkins, 26, of Great Britain (29:15) and Colin Bennie, 23, of the U.S. (29:16) – battled for the next four spots. Ross Millington, 28, of Great Britain (29:32) and Tariku Bekele, 30, of Ethiopia (29:38) rounded out the top 10. In the women’s race, Sandrafelis Chebet Tuei, 20, stayed in the lead pack of six runners through the early portion of the race before each of her competitors started dropping. By the time they reached Fort Williams and turned for home, she was leading and had only Ethiopian Ababel Yeshaneh, 27, to keep at bay. Molly Huddle, 33, was trying to become the first American women ever to win the TD Beach to Beacon in her debut. She stuck with the two leaders throughout the race but fell a little short in the late stages. Huddle, who has been a U.S. national champion 27 times across various distances on the roads and track and holds numerous American records, collected $3,000 for finishing third and another $5,000 for winning the American-only title, just like True. Pauline Kamulu Kaveke, 23, of Kenya, placed fourth (31:56), ahead of Emily Sisson, 26, of Providence, R.I. (32:09), who was the top American at the 2016 TD Beach to Beacon. Buze Diriba, 24, of Ethiopia (33:17) edged Kaitlin Goodman, 31, also of Providence, R.I. (33:18) for sixth, while three Americans rounded out the top 10: Gwen Jorgensen, 32, the Olympic gold medalist triathlete transitioning to the marathon (33:20), Rochelle Kanuho, 28 (33:23) and Emily Durgin, 24, of Brighton, Mass. (33:55), who won the Maine Resident title last year and now trains with Team New Balance in Boston. In the Maine Resident category, with Durgin now outside the state, the stage was clear for course record-holder Michelle Lilienthal, 36, to reclaim the top spot, which she also won in 2014 and 2016. Two-time winner Erica Jesseman, 29, of Scarborough placed second (36:53) and Tracy Guerrette, 36, of Saint Agatha, finished third (36:55) for the second straight year. On the men’s side, Ryan Smith, 23, of Farmington, continued the trend of talented young runners from Maine leaving a mark in Cape Elizabeth. An assistant track coach for the University of Maine Farmington, Smith is a recent graduate of Goshen College in Indiana, where he was an All-American runner. His 30:50 also placed him 17th in a deep professional field. Ben Decker, 22, of Yarmouth, the 2015 Maine champion, placed second (31:42), while Spencer McElwain, 29, of Portland took third (31:57). This year’s race did not hold the drama of 2017, when champion Jesse Orach was helped to the finish line by Rob Gomez. This time around, Orach placed fourth while Gomez reportedly dropped out of the race in the early going due to illness. Other winners included: Masters Men – Dan Smith, 40, of Shelburne Falls, Mass. (33:19); Masters Women – Dawn Grunnagle, 40, of Dallas (34:53); Wheelchair Division, Men – Tony Nogueira, 50, of Glen Ridge, N.J. (23:22) and for the Women – Katrina Gerhard, 21, of Ashburnham, Mass. (26:49), a new course record. Also, in the IDEXX Business to Business Maine Challenge, pitting teams of athletes from New England corporations and businesses, it was UNUM again winning first place in the mixed team division, followed by UNECOM and Hannaford. IDEXX won the men’s division, Maine Health the women’s division and IDEXX won in the first-timer 10K division. The Johnny Kelley Award for the oldest finisher went to Robert Mountain, 90, of Gorham, Maine, and Terri Morris, 89, of Venice, Fla. The 2018 Volunteer of the Year Award was awarded earlier this week to local attorney Neal Weinstein, who has driven a lead motorcycle every year of the race. Also, on Friday, winners of the third B2B High School Mile were Helen Shearer of Hampden Academy (5:24.1) and Lisandro Berry-Gaviria of Mt. Ararat High School (4:33.7), both course records. The TD Beach to Beacon route follows the same coastal roads Samuelson trained on in Cape Elizabeth. The race is a fulfillment of her dream to bring a top international road race to Maine. With her reputation, plus top-notch organization and strong community support, the TD Beach to Beach is known and appreciated as a world-class event with small-town charm. The race debuted in 1998 with 2,408 runners crossing the finish line. Online registration now fills within minutes. The TD Beach to Beacon is directed by Dave McGillivray of DMSE Sports (www.dmsesports.com), who has organized every TD Bank Beach to Beacon and directs the B.A.A Boston Marathon and other events around the world. For additional information about the race, visit www.beach2beacon.org, and follow the race on Facebook, Twitter and Instagram. The TD Charitable Foundation is the charitable giving arm of TD Bank, America’s Most Convenient Bank®, one of the 10 largest commercial banking organizations in the United States. Since its inception in 2002, the Foundation has distributed over $197 million and more than 19,000 grants through donations to local nonprofits from Maine to Florida. More information on the TD Charitable Foundation, including the online grant application, is available at TDBank.com. TD Bank, America’s Most Convenient Bank, is one of the 10 largest banks in the U.S., providing more than 9 million customers with a full range of retail, small business and commercial banking products and services at more than 1,200 convenient locations throughout the Northeast, Mid-Atlantic, Metro D.C., the Carolinas and Florida. In addition, TD Bank and its subsidiaries offer customized private banking and wealth management services through TD Wealth®, and vehicle financing and dealer commercial services through TD Auto Finance. TD Bank is headquartered in Cherry Hill, N.J. To learn more, visit www.tdbank.com. Find TD Bank on Facebook at www.facebook.com/TDBank and on Twitter at www.twitter.com/TDBank_US.